Milwaukee, WI extreme metal entity SHROUD OF DESPONDENCY have self-released a new EP titled Defective Overpass. The two-track EP is available for streaming and purchase at bandcamp profile. Always prolific, creative, and fiercely independent, SHROUD OF DESPONDENCY’s new release is its last EP. 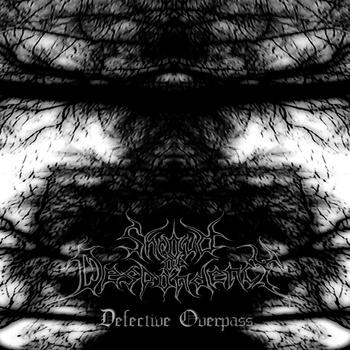 Defective Overpass serves as a precursor to what will be the band’s final full-length album and will be released in the coming months. EP track “In view of Birth” will be on the full-length. Acoustic song “Valleys” is the other EP track, but will not be on the full-length since the upcoming album will be 100 percent Pure Black Metal.